Well, I'm back from Argentina and faced with something of a dilema. My trusty 6630 is really in it's dying days now. 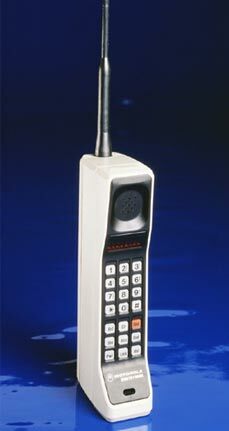 It still calls ok and sends text messages. The alarm still wakes me up bright and early in the morning for my work as an SEO copywriter. The screen still works and the ringtone still scares people. That, however, is about all. The camera died a death before I left the country. The video camera passed away long before that. Since my return, the menu system also appears to have come unstuck. It is rather like driving through a large city in rush hour traffic. The good news, however, is that I am now out of contract and free to hunt down the best contract and handset. Well, within limits... there is no reception in my flat for Orange and O2, leaving me the options of T-mobile and sticking with Vodafone. Both of these present their own problems. Firstly T-mobile. Now, I'm not normally one to bear a grudge, but I have had some experince with T-mobile in the past and I'm afraid to say it wasn't good. My first ever mobile phone (a dearly departed Siemens which was so heavy that it has left me walking with a limp ever since) was registered with 0ne-2-one. The deal included free evening and weekend calls for two and sixpence monthly, which seemed like a clincher. The problem, and my lasting resentment, stems from the fact that you had to stand on top of a towerblock in the middle of London to get one bar of reception. Honestly, it was like a bloody Rabbit phone. Even the one-2-one store in my native Watford didn't have reception, which struck me as enduringly crap. My problem with Voda is that they won't offer me any decent handsets as an upgrade, depsite my having been a loyal customer for 5(ish) years and always paying my bills on time with minimal fuss. 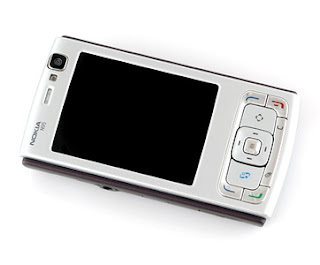 All I want is an N82!!! Or even an N95. EVERYONE HAS AN N95. WHAT IS THE PROBLEM?!? Anyway, I'm keeping my eyes open for good deals. Any advice please let me know. Anyone working for Voda want to explain why you're not nicer to loyal customers? Anyone from T-mobile got reception?